The study, published in the journal Nature, updates the understanding of how mammals evolved and dispersed across major continents during the age of dinosaurs. It suggests that the divide of the ancient landmass Pangea continued for about 15 million years later than previously thought and that mammal migration and that of their close relatives continued during the Early Cretaceous (145 to 101 million years ago). 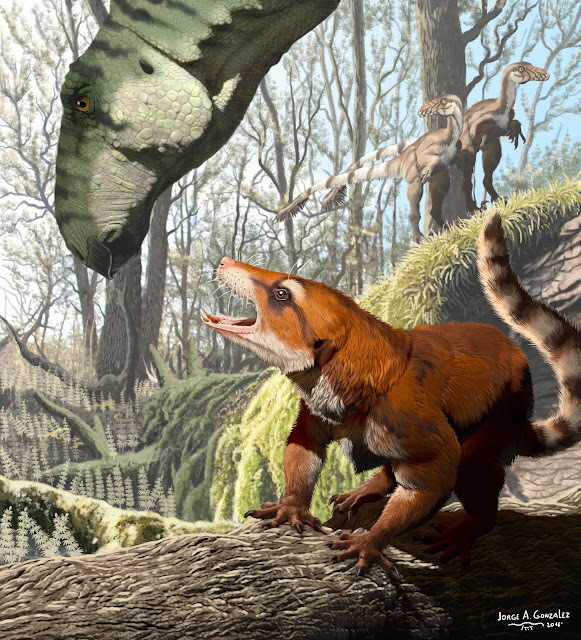 Huttenlocker and his colleagues placed Cifelliodon within a group called Haramiyida, an extinct branch of mammal ancestors related to true mammals. The fossil was the first of its particular subgroup - Hahnodontidae - found in North America.